With the biggest cruise ship in the world well on her way to her new homeport of Fort Lauderdale, Royal Caribbean has announced who is going to be Harmony of the Seas’ Godmother. 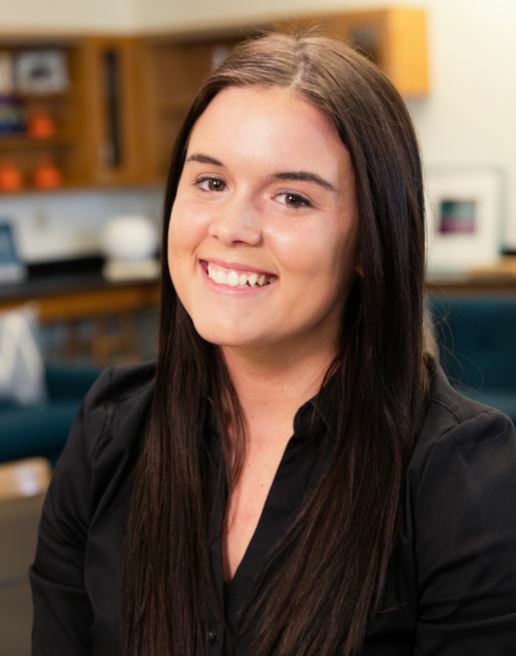 After a six-week search for an educator who is inspiring South Florida’s next generation to dream big, think differently and challenge the status quo, 23-year-old Brittany Affolter from the Miami-Dade region of Teach For America, has been selected as Godmother of Royal Caribbean International’s newest ship, Harmony of the Seas. Royal Caribbean set out to find a hometown hero in education to honor the homecoming of Harmony of the Seas, which will make her U.S. debut when she arrives into her new homeport of Port Everglades in Ft. Lauderdale, FL on November 5. The South Florida-based company sought an outstanding candidate that is making a positive impact on the community’s youth and received nearly 1,000 motivating and heartfelt nominations. As Godmother of Harmony of the Seas Affolter will have the opportunity to host a “field trip” for those whose lives she has influenced inviting them to be her guests at the Harmony of the Seas naming ceremony, and will set sail later that evening with three guests on a two-night pre-inaugural cruise. She will also receive a future seven-night cruise for two onboard the ship. Royal Caribbean will award a $25,000 grant to Teach For America Miami-Dade, funding education initiatives that further Affolter’s mission to inspire the local community’s youth.